Work has been progressing well after the Christmas break. 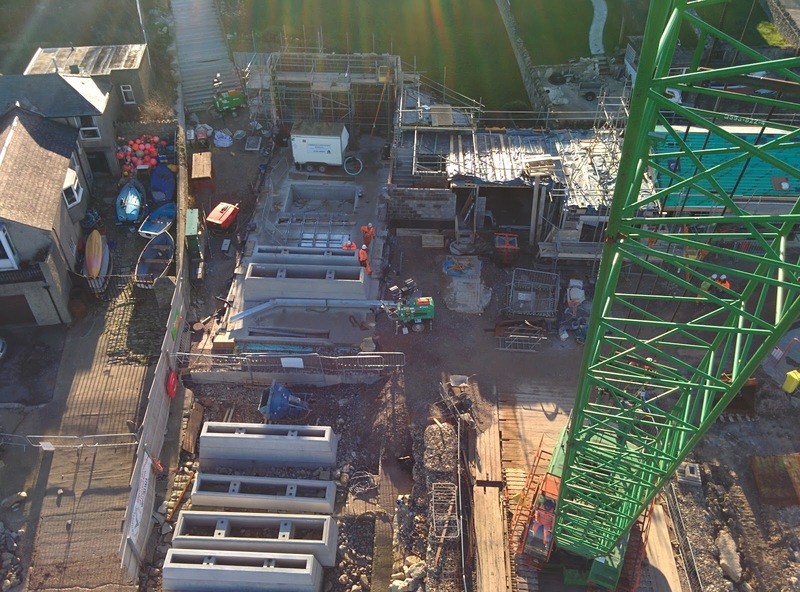 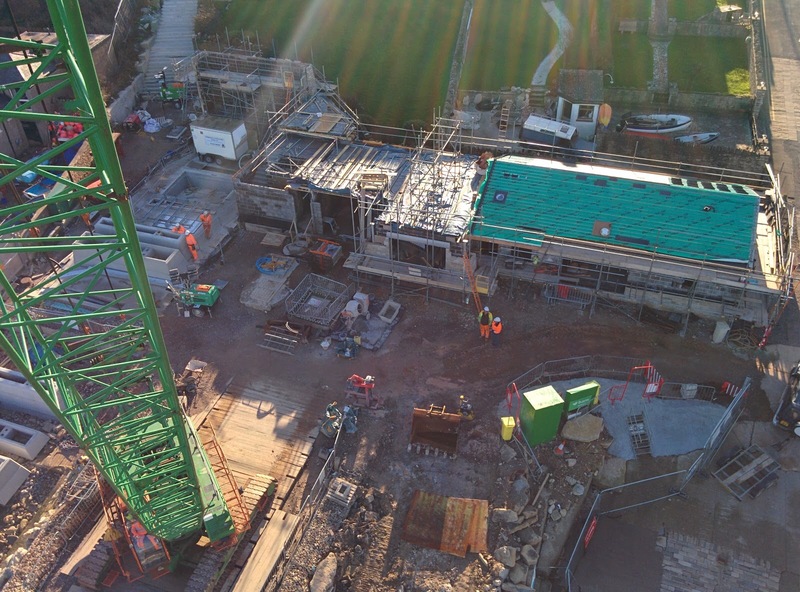 This Friday's tour of the site had a bit of a twist though, a look from above in the man riding cage winched up by the site crane. The lifeboat looks very small on its mooring. You can just make out the shadow of the crane jib and the cage below. 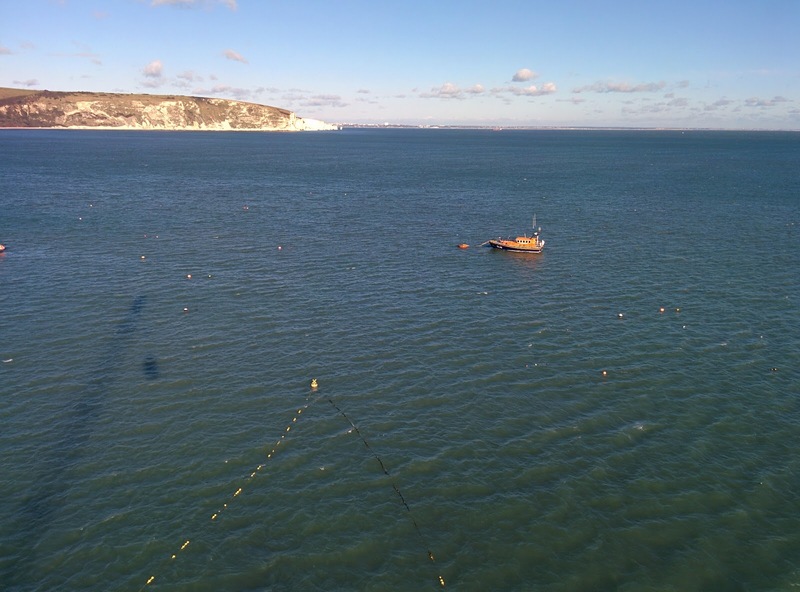 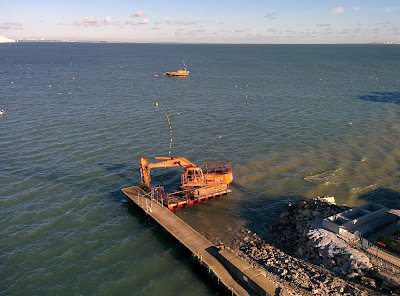 Its hard to work out which of the slipway piers are in the right place and which are just being stored. There are currently 4 piers in the right place. 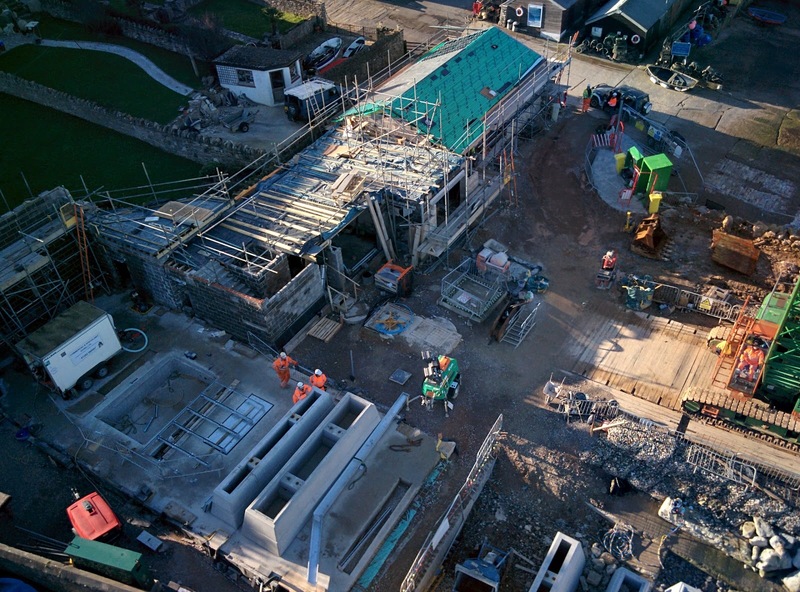 The tiles are starting to go on the roof of the Angling club. 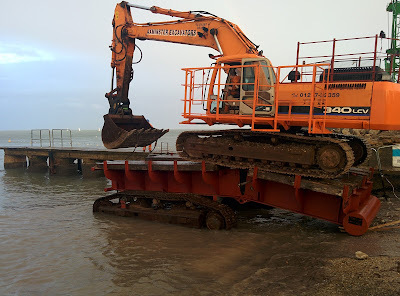 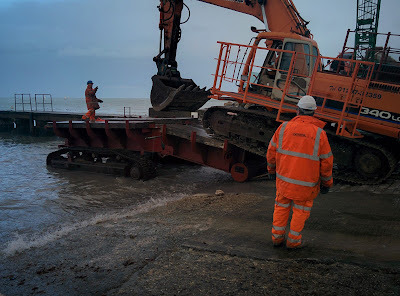 The excavator has been working with the divers this week preparing pier 5 of the ALB slipway. 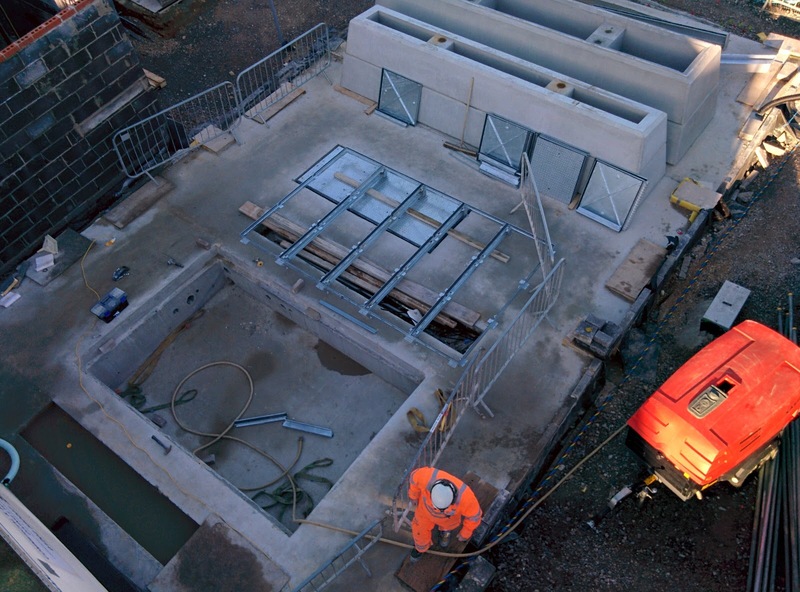 The frames and covers are being installed to cover the pits for the fresh water tanks and pumps. 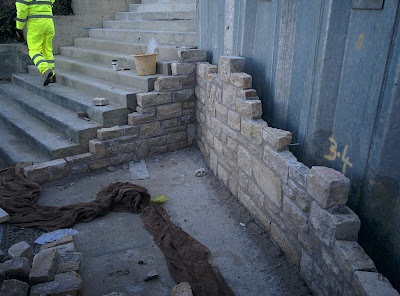 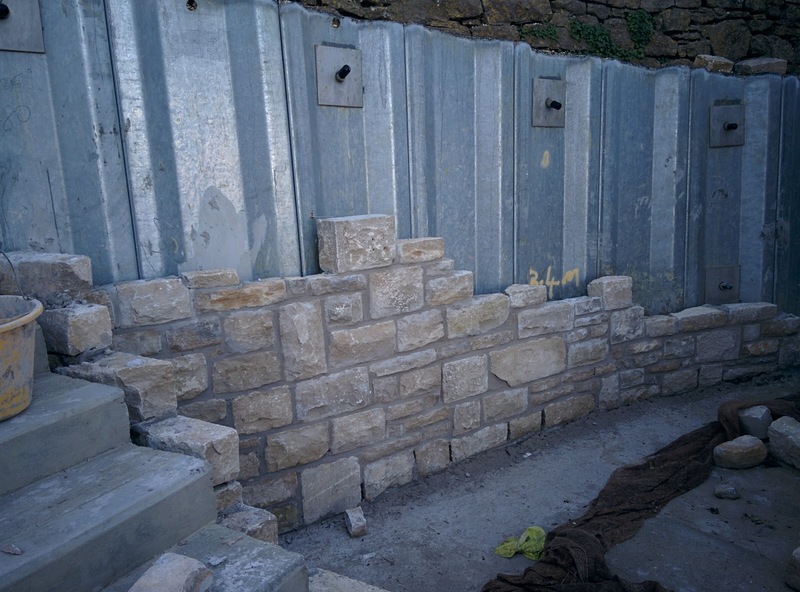 The stone layers have also been starting to cover up the sheet piling at the rear of the boathouse with some stone reclaimed from the old boathouse. 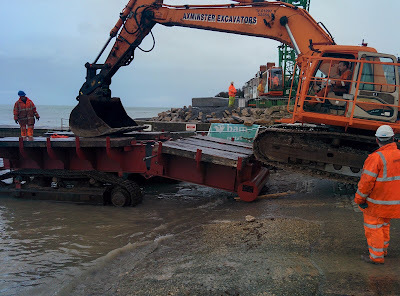 Our builders are back from the Christmas break and have brought more machinery back with them. 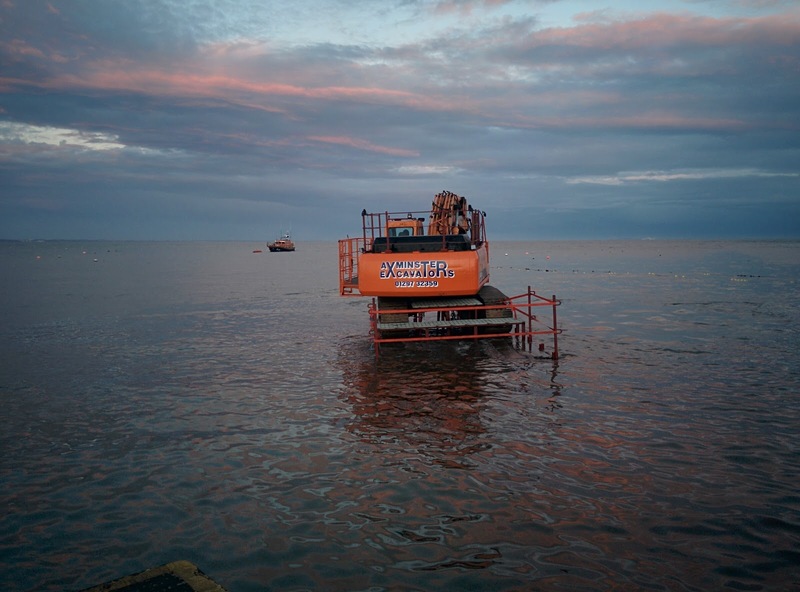 This machine is going to be used next week to start installing more of the ALB slipway piers. The machine is basically an excavator on top of the tracks of a larger excavator (there's a bit more to it than that but you get the idea!). 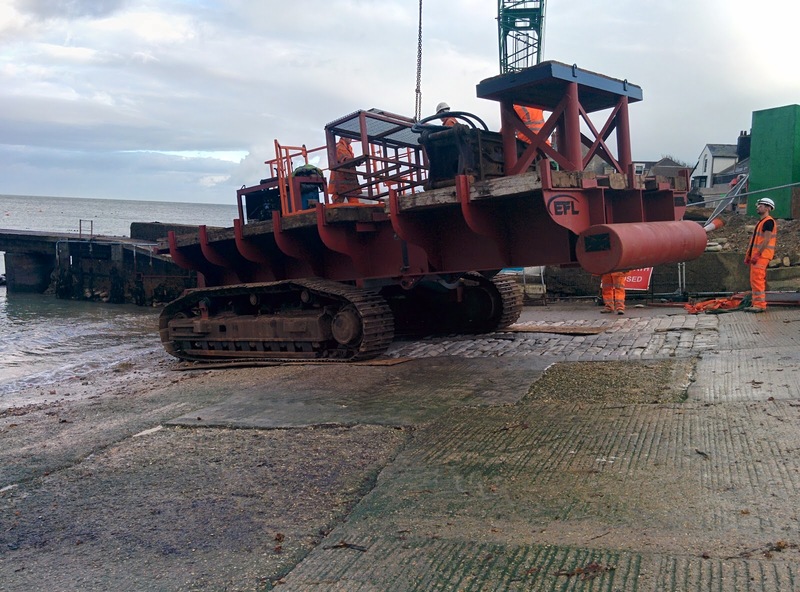 The machine arrived in two parts, the base (above) and the excavator (below). 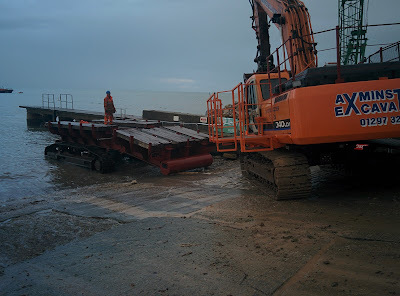 Then its just the simple matter of putting one on top of the other. Join all the hydraulic hoses up and off you go! 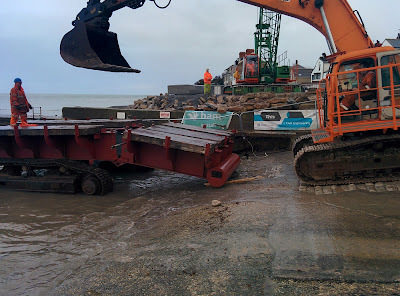 It'll be interesting to see it working next week. 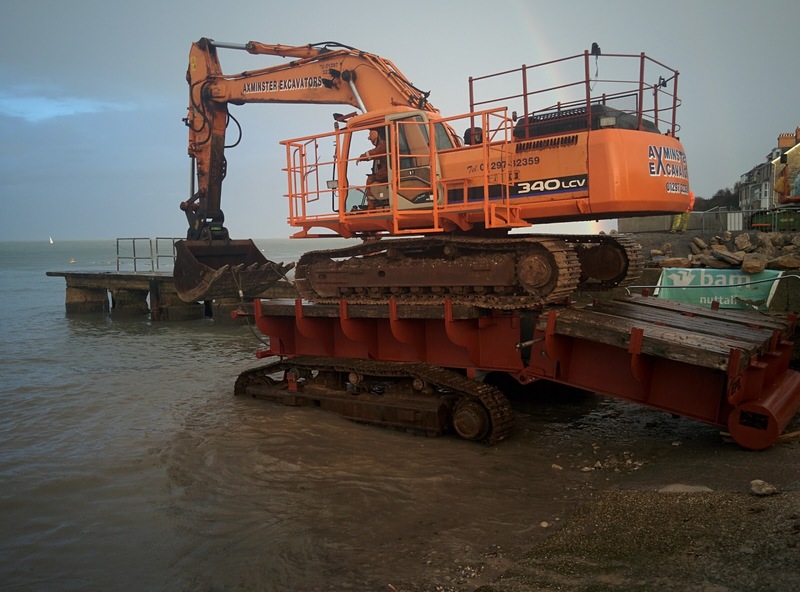 There's also a team of divers coming too so hopefully there'll be good progress.